Regular readers of Honest History will have followed our coverage of the proposed Sir John Monash Interpretive Centre to be built next to the Australian memorial at Villers-Bretonneux in France. We have described the Centre as a boastful Aussie boondoggle. (This post links to our material on the Centre, work on which is now under way leading to the opening, scheduled for April 2018.) Less charitable (but non-Australian) commentators have described the Centre as a manifestation of the Australian ambition to build a monument at every place where an Australian soldier urinated – not the term these commentators used but it will suffice. The Centre, when opened, will show a documentary on the life of Sir John Monash. The ABC is wrangling the production of this work jointly with the Department of Veterans’ Affairs and ScreenWest, the state film body of Western Australia. The show will screen on various media as well as playing at Villers-Bretonneux. The pitch information is online and is attached here. There are three interesting aspects to the project. First, the successful producer will have to be based in WA and will have to show evidence of how much they plan to spend in WA. This is standard and fair enough, given WA is putting up a slice of the money. The successful producer will develop, produce and deliver a 2 x 57 minute documentary series exploring Sir John Monash, an engineer who became a soldier and one of Australia’s greatest military leaders. The documentary will look at the wartime deeds and broader impact and legacy of Sir John Monash. 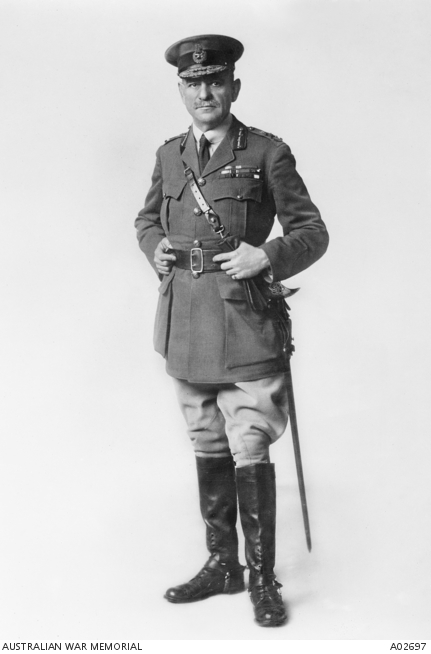 The documentary will examine Sir John Monash’s wartime achievements, from Gallipoli to the Western Front in 1918, in order to understand why Sir John Monash is widely regarded as a Great War hero who changed the face of traditional warfare and became a great Australian and a pivotal figure in the nation’s history. The documentary is expected to screen close to ANZAC Day, 2018. Honest History spoke to the ABC and suggested these words rather put the cart before the horse, giving the verdict on Monash before the show had been produced. We wondered whether DVA had written the pitch, recalling the number of superlatives it had used in its advocacy for the Monash Centre to the Public Works Committee in Canberra. We were assured that, No, the ABC had written the words, that it had reflected what it took to be the received view of Monash but that it would be looking to producers to come up with a fully rounded picture of the man and the general. There would be plenty of scope to do this in a two-hour show. So, there you are. Pitches have to be in by 17 June. No doubt both those pitching and those receiving pitches will be reading works by and about Monash. Joan Beaumont’s Broken Nation and Geoffrey Serle’s biography are good places to start. Monash himself wrote The Australian Victories in France in 1918 and there is a collection of his war letters. There are also works by Fischer, Kieza and Perry, reviews of which by historians are instructive.